Toti (Cristobal’s nickname) was born surrounded by vines and wine with the winemaker’s gene in his blood. He is a 5th generation winemaker in the Undurraga family. Equally knowledgeable and passionate about wine, Toti had the opportunity to travel the world crafting wines in top places like Chateau Margaux in Bordeaux (under Paul Pontallier) and Franciscan Estate in Napa Valley. After travelling the world, he settled in Mendoza where he helped Aurelio Montes to open his Argentine winery called Kaiken. This adventure lasted five years during which he fell in love with Malbec and high elevation vineyard terroir. He also made many friends; among them some are now his partners in CAYU. Focused in high quality terroir oriented wines, his style can be defined as one that looks for elegance, freshness and balance. 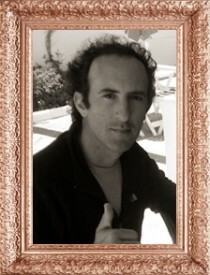 Toti has now moved back to his native Chile with his wife Tere and his children Teresita, Ana and Cristobal. His next challenge is to master the biodynamic viticulture at his Los Lingues Estate in Alto Colchagua. It was at the end of the 19th century when Don Francisco Undurraga decided to leave his native Basque Country in Spain to start a new life in Chile. He had a dream of making wine in this remote country. As with many other adventurous souls his accomplishments went beyond his dreams. Don Francisco built one of the country’s biggest and most respectable wineries: Viña Undurraga. Convinced about the potential of the Chilean soil, more precisely the Maipo Valley, in 1885 Don Francisco planted many unknown European varieties at that time such as Cabernet Sauvignon, Sauvignon Blanc, Pinot Noir and Riesling. Not many years afterwards, his wines were constantly recognized all around the world, achieving prizes since 1903 when they won the 1903 Grand trophy in the Seville Show in Spain. After being owned by the Undurraga family for more than 100 years, Viña Undurraga was recently sold to an investment group but this has not changed the family ambition of producing top Chilean wines. They have just started a new story called Viña Koyle, which will surely live for another 100 years.